Regarded as South Africa’s culinary capital, visitors to the Franschhoek Wine Valley are spoilt for choice as they can include in their trip a sampling of the Valley’s finest artisanal and fresh produce. 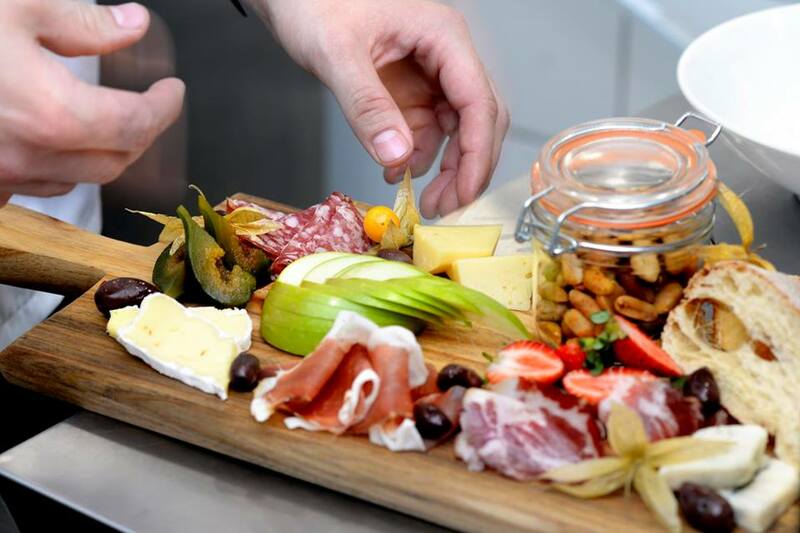 The Franschhoek Artisan Route affords visitors the opportunity to treat their taste buds to some of the finest olives, cheeses, charcuterie, artisanal breads, and handmade chocolates our country has to offer. The term artisanal refers to anything that is hand-made or handcrafted in the style of an artisan, or skilled craftsman. Artisanal foods are made in small quantities and typically adhere to traditional methods and recipes, using high-quality and unprocessed ingredients. They are allied to the slow and local food movements, and are usually produced in a sustainable manner. Artisanal foods provide a great way to know where your food is coming from. Artisanal sausages are most likely made from meat raised compassionately or organically; artisanal cheeses from cows milked by hand, not machine; artisanal jams and preserves from fruit grown on small farms without hormones or dangerous pesticides. Artisan producers understand and respect the raw materials with which they work, they should know where these materials come from and what is particularly good about them. They should have mastered the craft of their particular production and have a historical, experiential, intuitive and scientific understanding of what makes the process that they are engaged in successful. They should know what tastes good and be sensitive to the impact of their production on people and the environment. 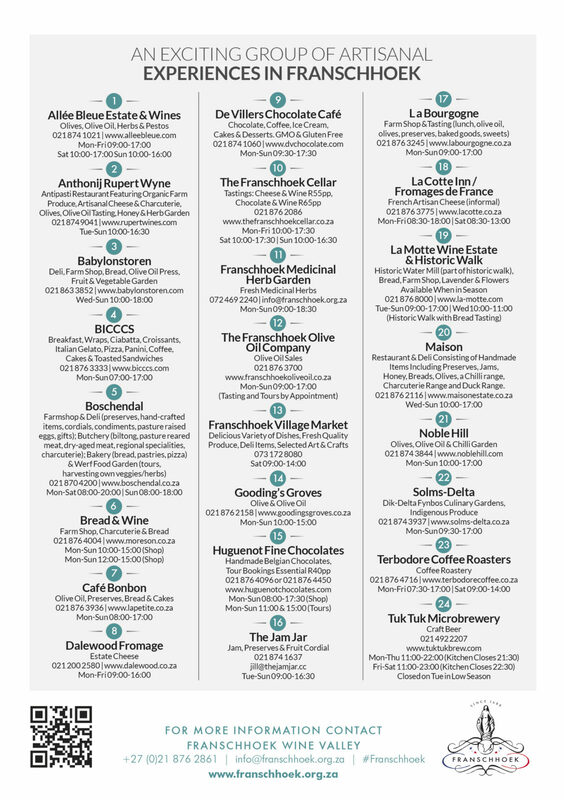 Franschhoek is proud to fall within these categories with several local artisanal producers in the Valley making bread, cheese, olives and olive oil, charcuterie, salmon trout and chocolates, to mention a few. Should you be pressed for time the Franschhoek Village Market on Saturdays has proven to be extremely popular and showcases many of these fine foods. 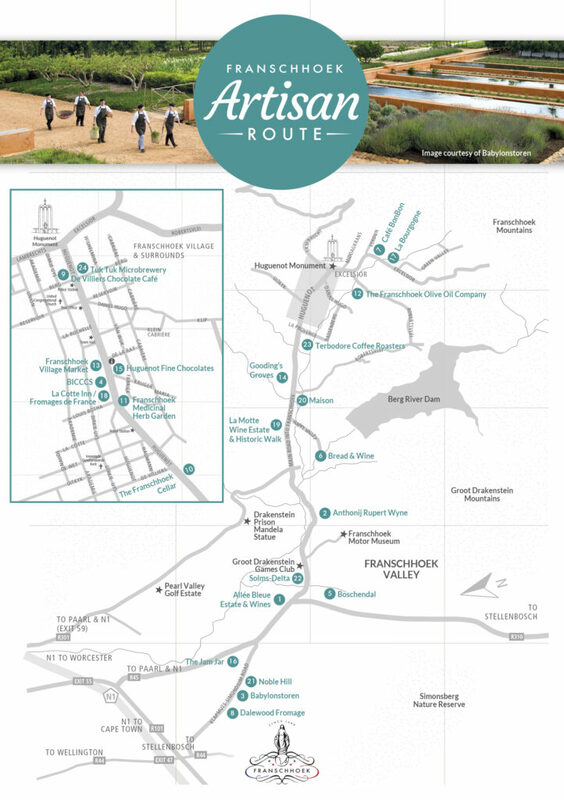 The Franschhoek Artisan Route celebrates the unique, hand-made or handcrafted products in the valley.